Here it is May 28, and we still have ice on the lake. That’s no surprise to anyone who spent the winter here. There is no doubt we had sufficiently cold temperatures to generate enough ice to last a lifetime. Or at least into June – we think. 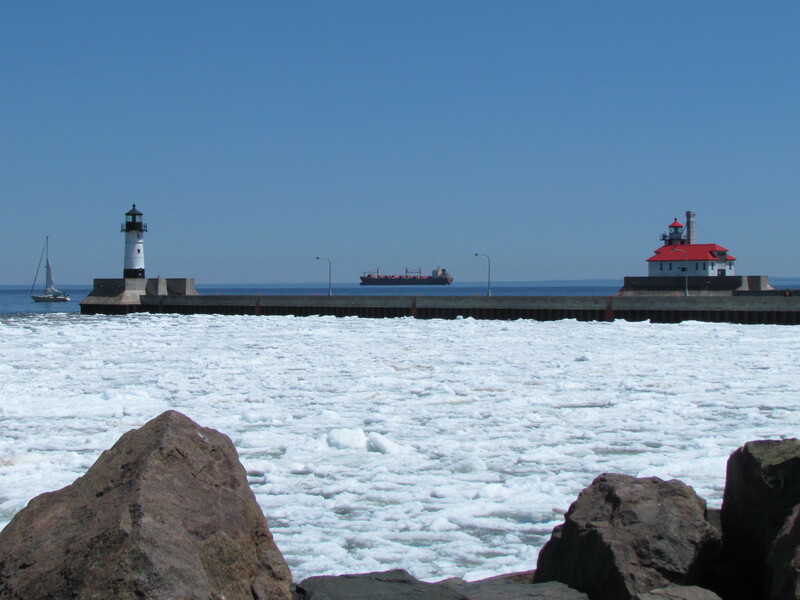 Some days it’s here along the Duluth shore. Other days the wind sends it over to the Wisconsin side. 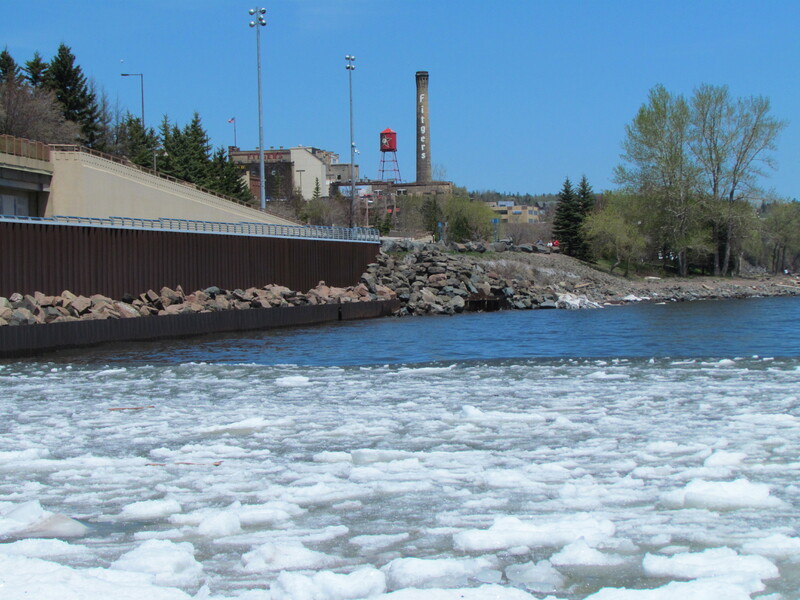 Today, the floating remnants filled the rocky shoreline along the Canal Park portion of the Lakewalk. Although it was a brilliantly sunny day, the NE wind swept down the lake to maintain a permanent chill in the air. It didn’t feel like a whole lot of melting was going on. Being a weekday, visitors were sparse. But those who lingered after the Memorial Day weekend were clearly intrigued with this wintry phenomenon. The ice featured prominently in many a tourist photo. I just missed getting to the bridge in time to see the Paul R. Tregurtha arrive. But I did catch the current it generated. 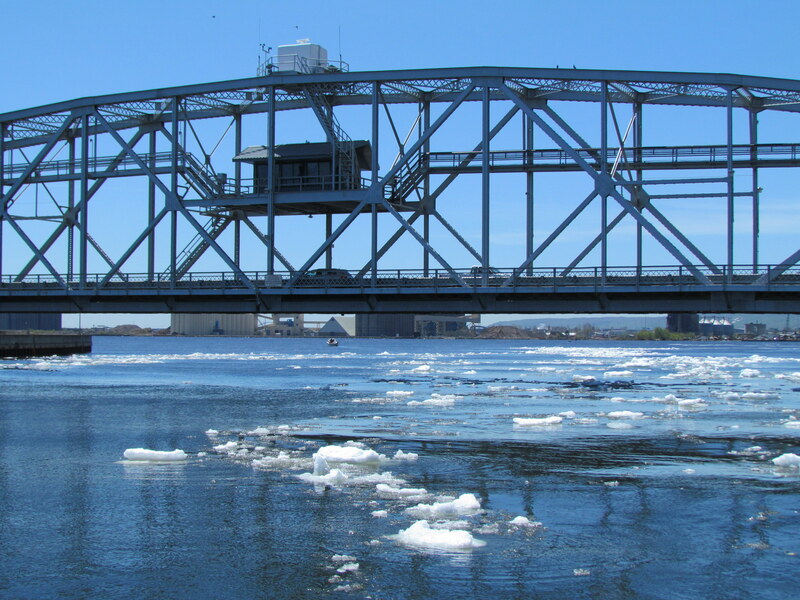 Ice floes bobbed in the canal, gliding under the bridge and into the harbor well after the boat disappeared from view. It would appear that the Vista fleet is finally able to venture out into the lake for its tours, after weeks of being confined to the harbor. Those on board seemed thrilled with the ride, including the now famous ice. 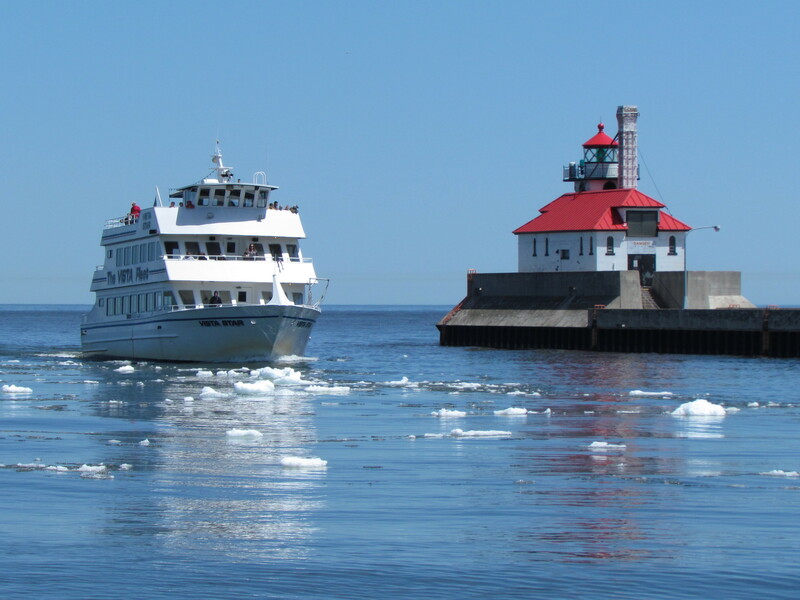 With June 1 just four days away, the possibility of still having ice on Lake Superior looks pretty good. Time will tell if this ice breaks that barrier. I hope so. It’s the stuff legends are made of. 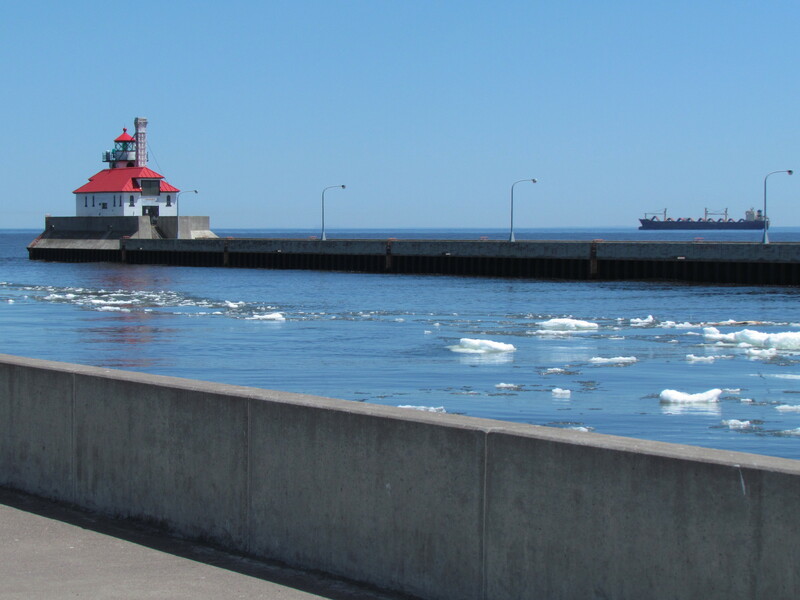 This entry was posted in Life Up North and tagged Duluth Minnesota, Lake Superior by Molly. Bookmark the permalink.